In every business transaction, especially the ones involving money, a receipt is not only a sheet of paper issued for formality purposes, but it is also a requirement for all businesses. It is in the law that when businesses transact with customers, they should always issue a receipt after payment has been received from the customer. On the other hand, when a customer buys goods or avails of the services provided by a business, they are strongly advised by the law to always demand a receipt from the company after they have given their payment. 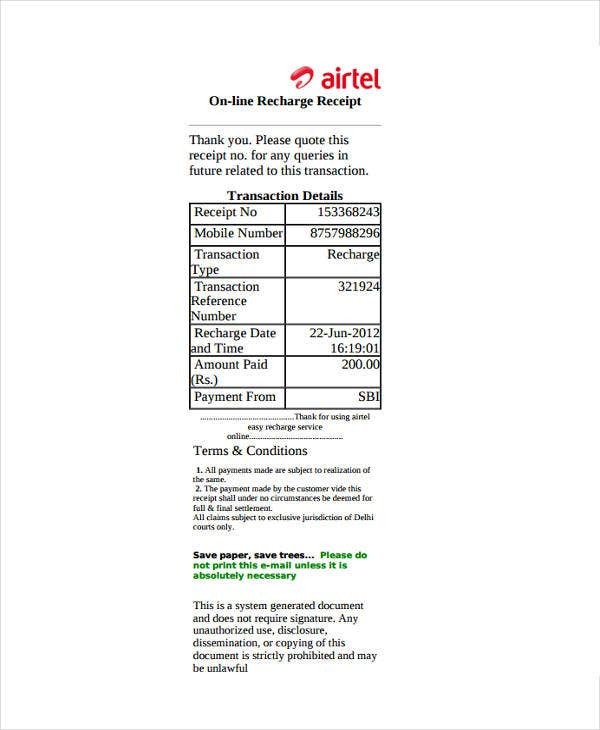 The receipt receive will serve as proof that they have paid the amount required in exchange for the goods and/or services. An expense report is defined as a report detailing all the expenses incurred by a business in a monthly, quarterly, or yearly basis. It can be further divided according to the departments in the business to determine how much is spent per area. It is very important that the information written on expense reports are accurate to ensure that the business is not wasting any money. 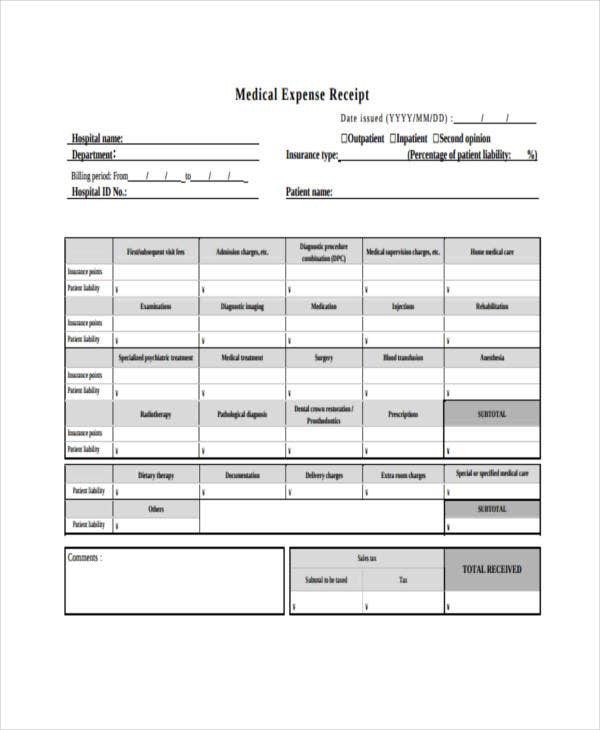 For instances when there are unexpected costs and an employee is forced to use their own personal cash, an expense report can be used by them to record how much they have spent out of their own money and submit them to the company for reimbursements. If you are looking for a different kind of receipt, take a look at our collection of Invoice Receipt Templates. 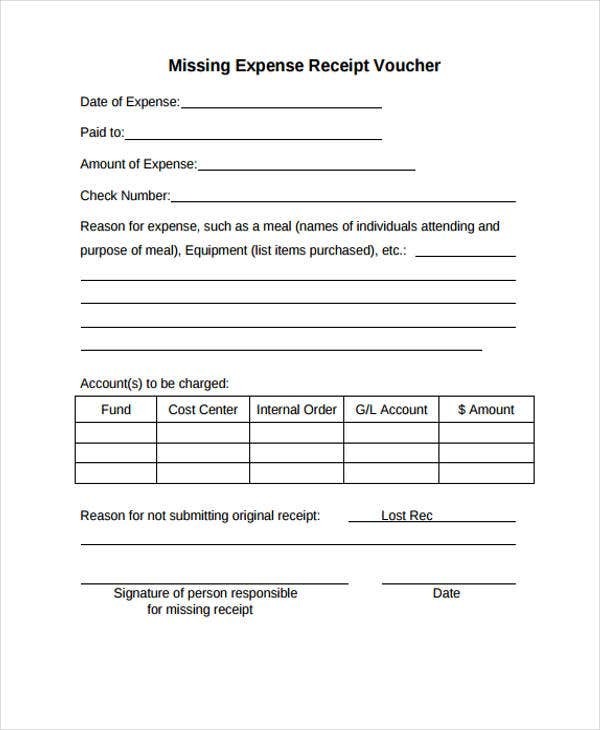 Submitting a Reimbursable Expense Receipt? 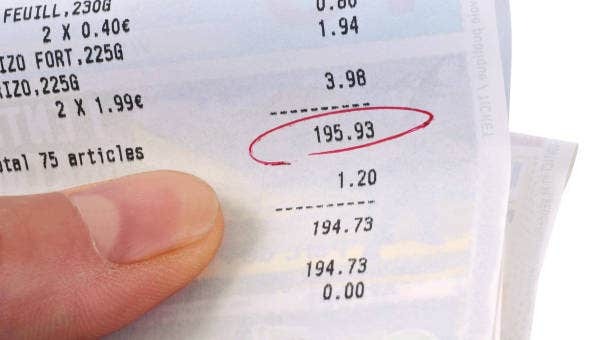 You need to keep the official receipt from the expense you made. This receipt will serve as proof to validate the expense as well as the amount involved. 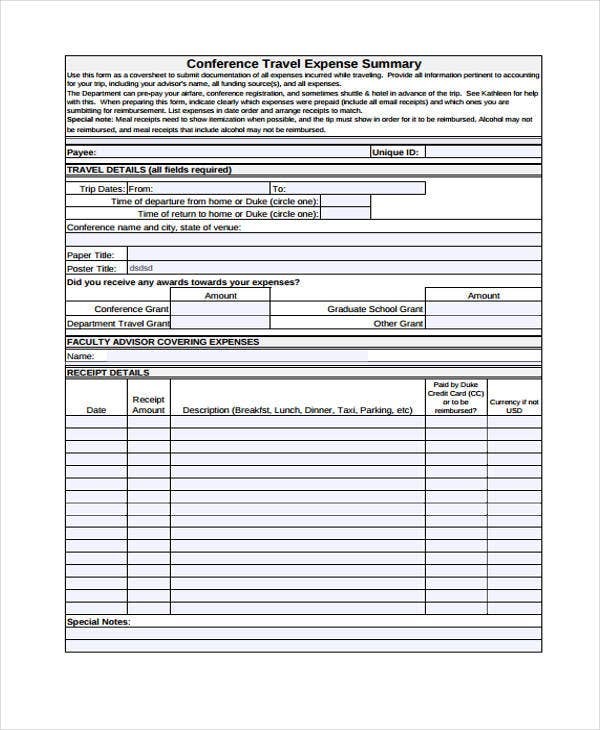 Depending on the organization, you may either proceed to your accounting department and request for a reimbursement expense receipt or you may download one from the many samples provided online. 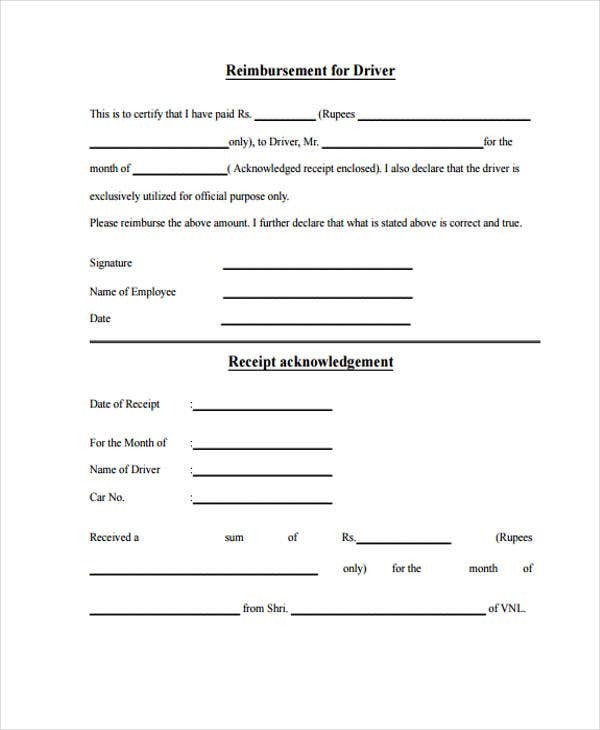 Fill-up the form completely and correctly. 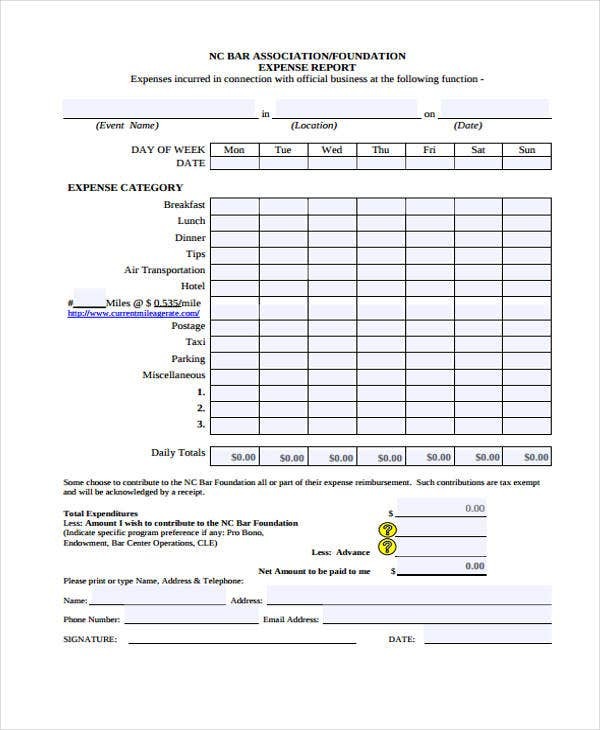 Submit the completed form along with the official receipt back to the accounting department. 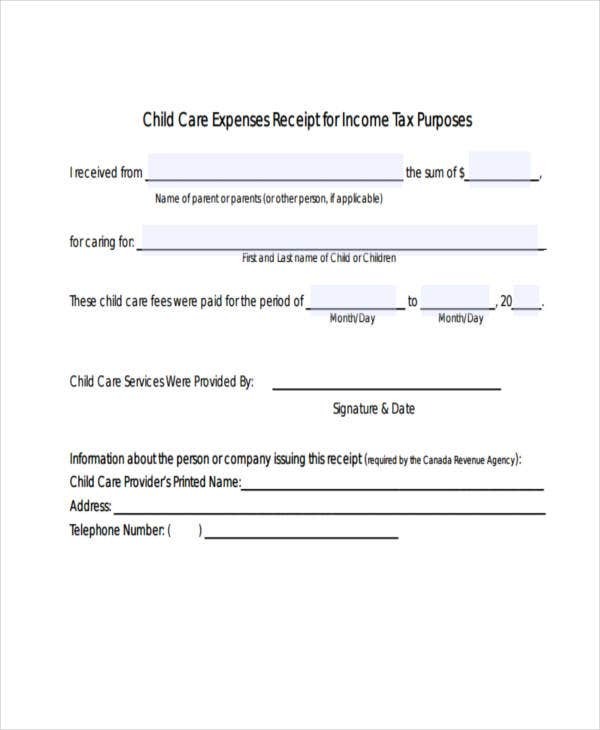 We also have Money Receipt Template, if you’re in the market for receipts of this kind. Consumers are among those who find receipts quite significant. This is especially true when they are hoping for reimbursement when acting on behalf of a third party that could either be their mom or their employer. But have we ever really looked at the importance of receipts in the perspective of the person or entity issuing it? Here’s a look see at the benefits of keeping receipts as the issuing party. Receipts can provide you with a record on the clients that have availed of your products and services. Receipts can help in determining which products or services have made the most money, and which ones have not. Receipts make it easier for the company to determine which areas in the company need improvement. Having your record of your receipts can help the accountant settle taxes and deal with other accounting matters easily. For receipt templates suitable for printing, you could also check out what we have for you on our page filled with Printable Receipt Templates.